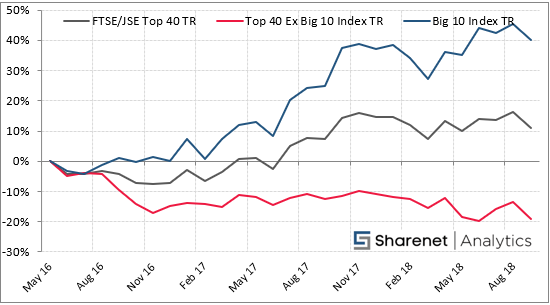 This is why herding around a few large-cap shares, resulting in narrow market participation (weak breadth) results in dangerous market conditions, because the handful of shares propping up the index reach heady valuations that get ridiculous and something has to give. 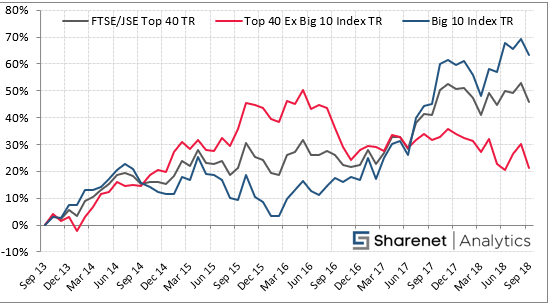 Eventually one of the funds can’t stomach the high valuations anymore and fall to temptation to take profits and then the whole room tries to exit through one narrow doorway when everyone cottons on. 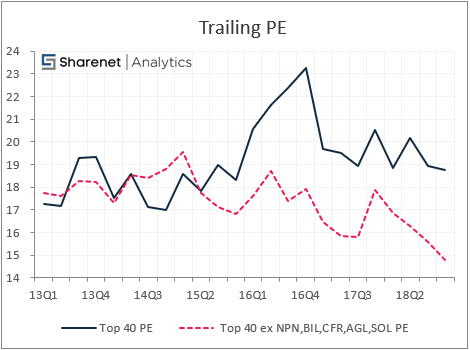 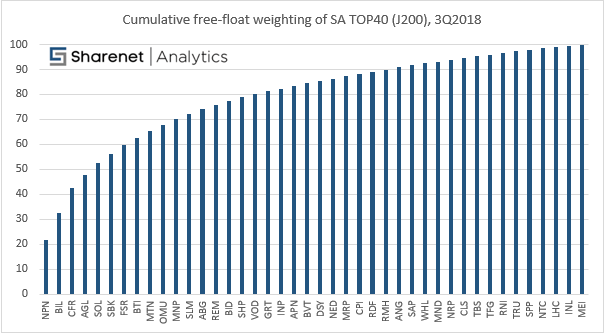 As it’s the large caps that eventually cave into ridiculous P/E’s the indexes they belong to can fall hard, as we have recently witnessed, where the TOP-40 reached a whopping historical all-time high of 23x P/E before succumbing to a collapse. 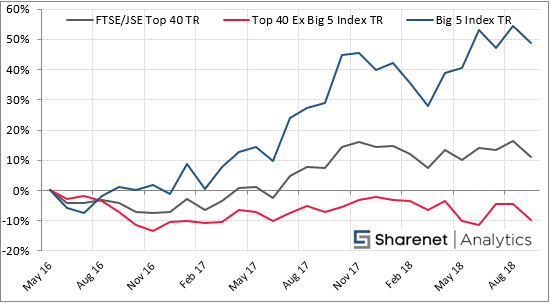 At this point the P/E of the TOP-5 was in excess of 30x whilst one counter, Naspers was in excess of 100x PE! 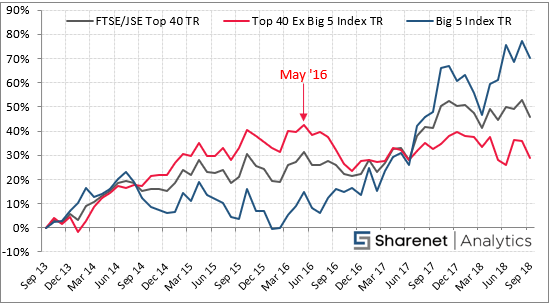 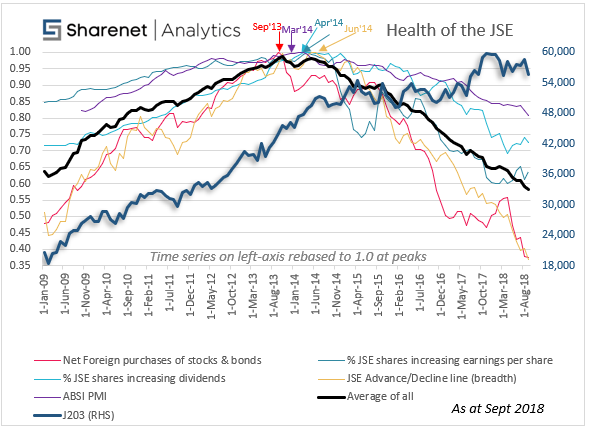 You can go read about these warning signs in our prior articles, "This is how unhealthy our stock market is", "A major leading indicator for the JSE just tanked" and "Yet another Major Leading Indicator for the JSE tanked"